Wildcard Silks are offering 7 lucky readers the opportunity to win a beautiful silk scarf worth £80. The Lucky winner will be able to choose one of our vibrant luxury scarves from the Wildcard collection online. Wildcard Silks is a British fashion brand designing and creating bright, bold and unique silk accessories. 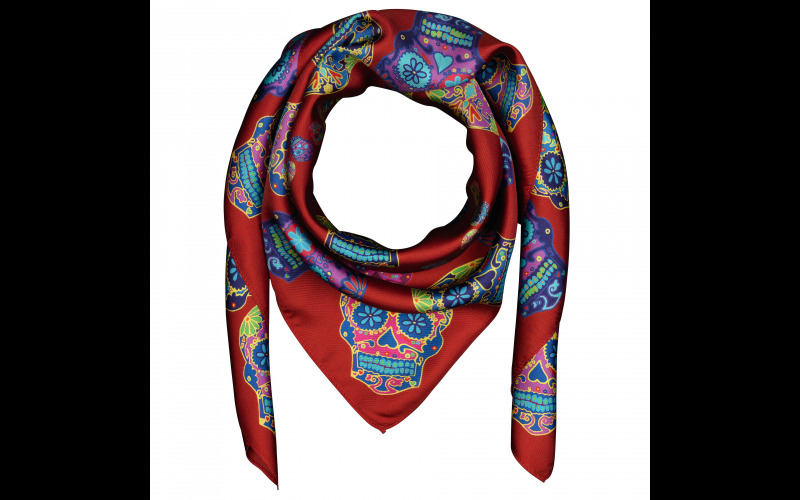 Our Sugar Skull Silk Scarves are currently available in The British Museum retail shop and earlier this year we supplied Universal Musics BRIT Awards After Party Goody Bags. The aim of Wildcard Silks is to inject some colour, elegance and joie de vivre into the lives of fashion conscious people with quality statement items of British design. All of our products are 100% ethically sourced silk and digitally printed. Fashion certainly shouldn’t be dull… #PLAYTHEWILDCARD my lovelies and good luck!